Meet Abney pony, a strange little gal obsessed with Steampunk, so much that she invents different gadgets to help her out with every day chores. Here she is sporting her magnifying glass and accessory bag. 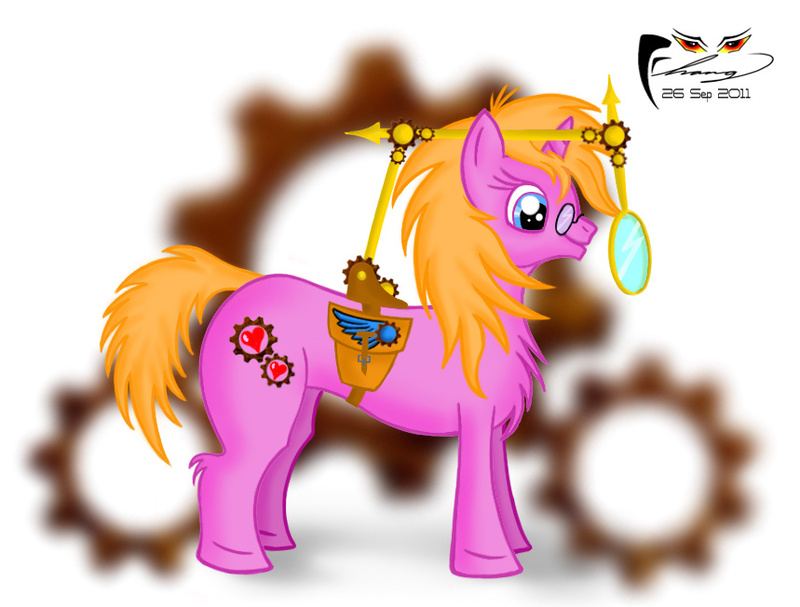 Her cutie mark, gears with hearts, of course signifies her love with all things Steampunk.